Lucy has been a member of the Specialized Property Management Dallas team for 5 years in several different roles centered in delivering great service and results to Specialized Property Management owners and tenants. She currently serves as a leasing agent, where she acts as a liaison between the applicants and property owners throughout the leasing process in the negotiation of rent rate, move in date and special requests pertaining to the property. Responsibilities include marketing the property, preparing video tours, coordinating showings, screening applications, responding to listing inquiries, and keeping clients informed through weekly reports. 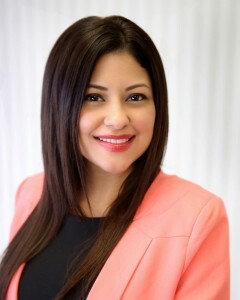 Ms. Knox has been a full-time licensed real estate professional for ten years and holds an active Broker’s license with the Texas Real Estate Commission. Mrs. Knox is among the top 1% SFR lease producers in the DFW MSA and specializes in maximizing results for owners. As a native of Arlington and student of TCC, she is intimately familiar with the southern mid-cities on a street-by-street level. Her commitment to internal and external customer service continually exceeds owner expectations and leads to higher renewal conversions. In her free time, Lucy enjoys running, golf, and play time with her Goldendoodle.